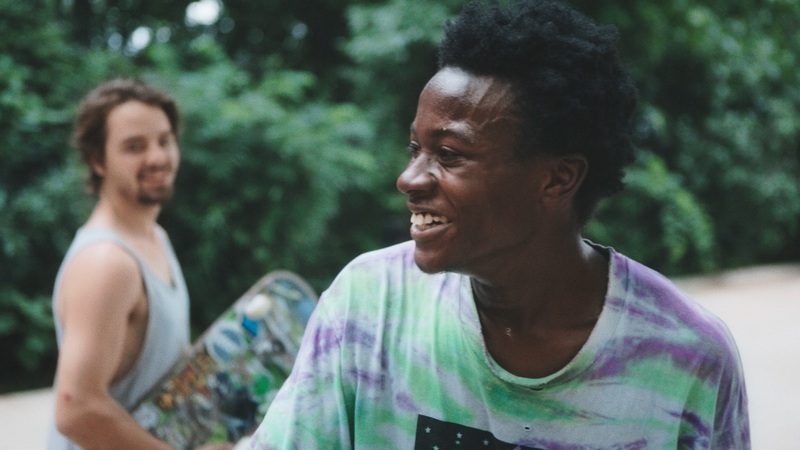 Minding the Gap, directed by Bing Liu and produced by Diane Quon, earned a nomination this Tuesday for a 2019 George Foster Peabody Award, one of the highest honors in broadcast and digital media. The nominees were selected by unanimous vote of 19 jurors from more than 1,200 entries from television, radio/podcasts and the web in entertainment, news, documentary, children's and public service programming. Thirty winners selected from amongst these nominees will be announced beginning next week. Read the full list nominees here. Minding the Gap had its world premiere at the 2018 Sundance Film Festival where the film won the Special Jury Prize for Breakthrough Filmmaking. Minding the Gap won the Critics’ Choice Documentary Award for Best First Time Director (Bing Liu), and it won two Cinema Eye Honors for Outstanding Achievement in a Debut Feature Film and Outstanding Achievement in Editing. The film won the Truer Than Fiction Award in the Film Independent Spirit Awards, the IndieWire Critics' Poll for Best Documentary Feature, the New York Film Critics Circle Award for Best Non-Fiction Film and was a nominee for the 2019 Academy Awards® and the Gotham Awards. Minding the Gap is presented by Hulu; edited by Joshua Altman and Bing Liu; original music by Nathan Halpern and Chris Ruggiero; cinematography by Bing Liu; executive producers Sally Jo Fifer, Justine Nagan, Gordon Quinn, Steve James, Betsy Steinberg; produced by Diane Quon and Bing Liu, and directed by Bing Liu. The film is a co-production of Kartemquin Films, American Documentary | POV, and Independent Television Services (ITVS); with funding provided by the Corporation for Public Broadcasting (CPB), and the Sundance Institute Documentary Film Program. Peabody Award winners and nominees will be celebrated at a red-carpet event on Saturday, May 18, at Cipriani Wall Street in New York.